When it comes to summertime, I love switching my regular routines up for something a little lighter. Clothes, food, and yes, even makeup. Swapping heavy powders and foundations for light makeup that's still glam, is what it's all about. When I saw that eco luxe brand Kjaer Weis was releasing some new products for summer, I just knew I had to take the plunge. Soft pinks and peaches are beautiful this time of year, and will compliment all fair to light skin tones. Probably my most loved purchase so far of 2016 has been the Kjaer Weis Cream Blush in Precious. If there's one thing you are planning to add to your makeup bag this summer, make it this. To watch a demo and learn more just keep on reading. Cream blushes can be a little intimidating. How do I apply them, will they last? Especially for oily skin types, we automatically assume that they just won't last. That's where the Kjaer Weis blushes are different. Although they are formulated with healthy organic oils, they have great pigmentation and they set into the skin and the colour lasts really well. 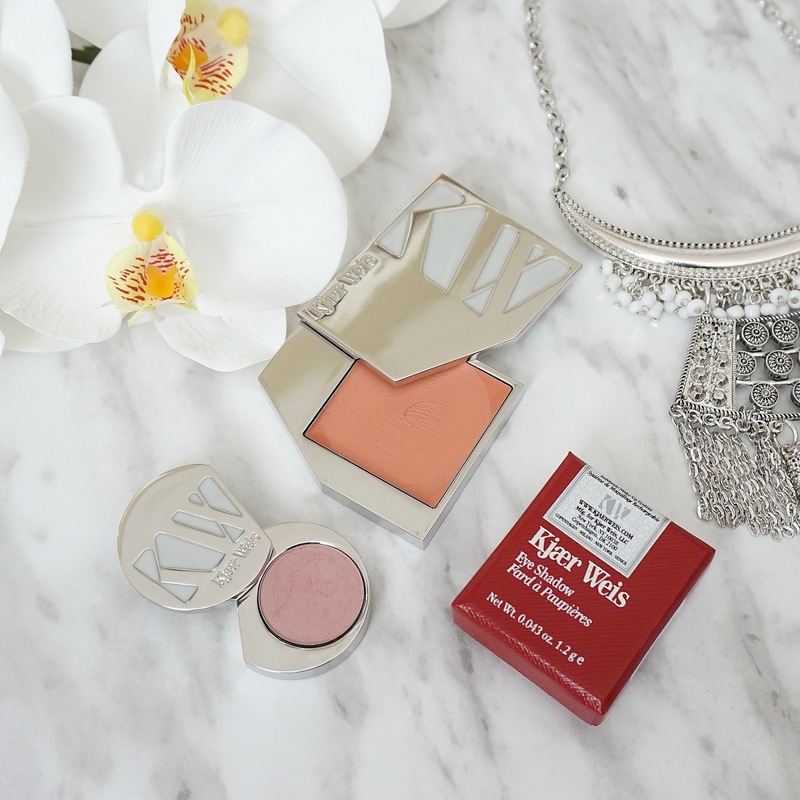 The Kjaer Weis Blush in Precious is the perfect shade for summer, as it truly gives a natural light coral flush to the cheeks. The beauty of cream products, they blend in so effortlessly on the skin, and they can be applied with the fingertips or a brush. Watch the demo below to see how I achieve a perfectly flushed look.